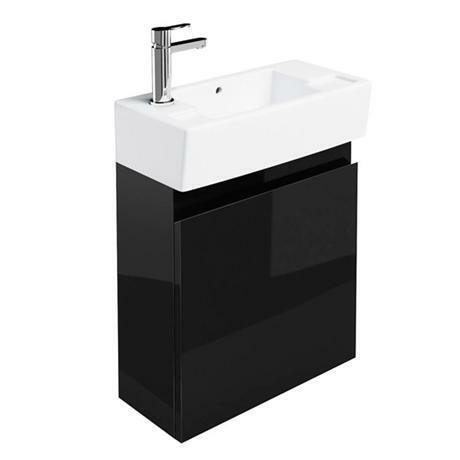 This stylish Britton Bathrooms wall mounted cloakroom vanity unit and basin is narrow making it the ideal option for any small bathroom or en-suite. Cloakroom basin available in a left or right hand, please choose your required option. Q. Is a tap with pop up waste suitable with to fit this basin? Hi Ran. As long as the waste supplied is a slotted waste this should be fine. Hope this helps.